Sometimes, you get tired of steak. When that happens, switch to pork! Recently I’ve started actually going to the butcher instead of picking out meat from their prepackaged selections. This isn’t nearly as daunting as it sounds. Also, this is BJ’s, not even some super fancy place. Last week I had them custom cut me 3″ thick Filet Mignon and it turned out awesome! I think the control and freshness is far superior to just picking up the prepackaged items. 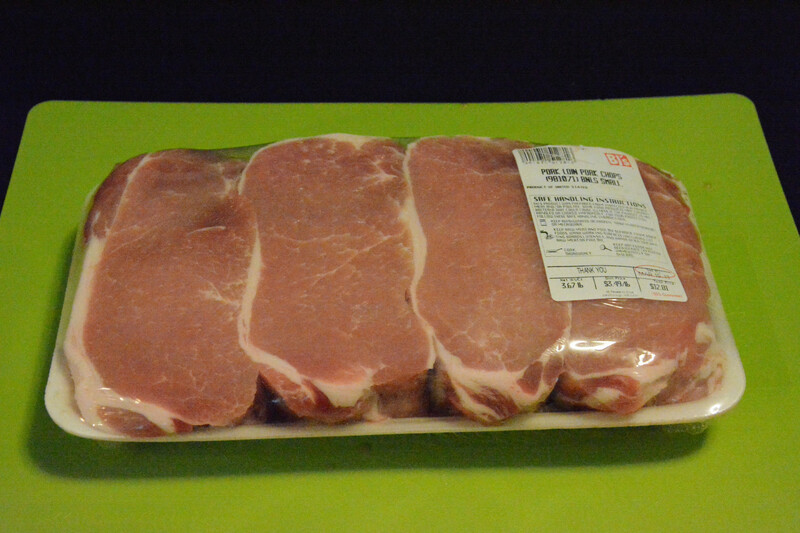 Also, you can get cuts that wouldn’t normally be possible like these 2″ thick pork chops, perfect for stuffing. 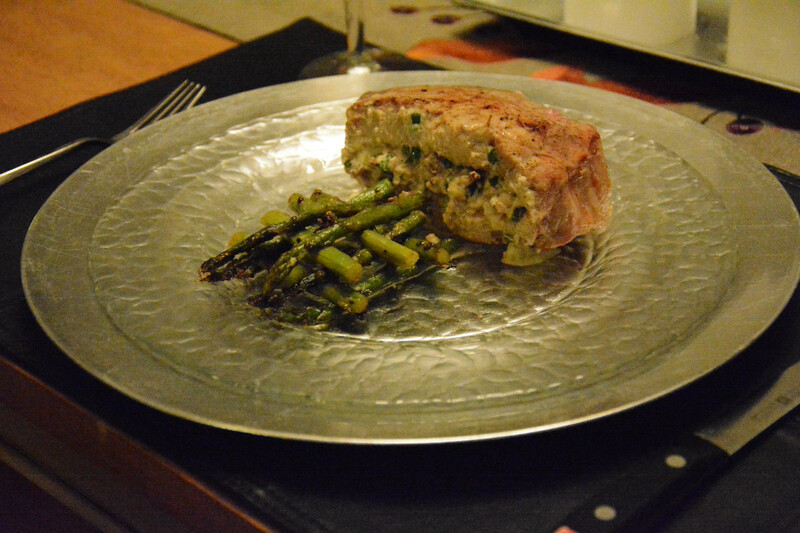 Here’s the finished Stuffed Pork Chops along with some Garlic Asparagus. 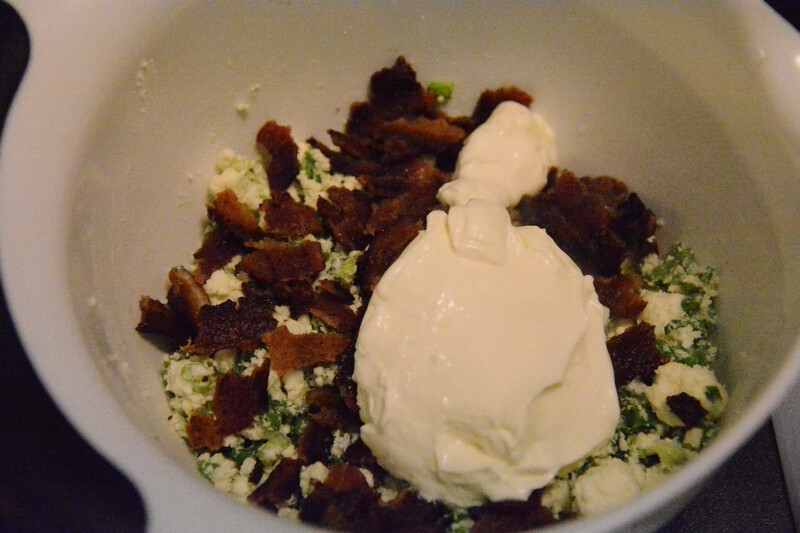 As with many of my recipes, this one starts with bacon. This serves two purposes. First, we need the bacon for the recipe. 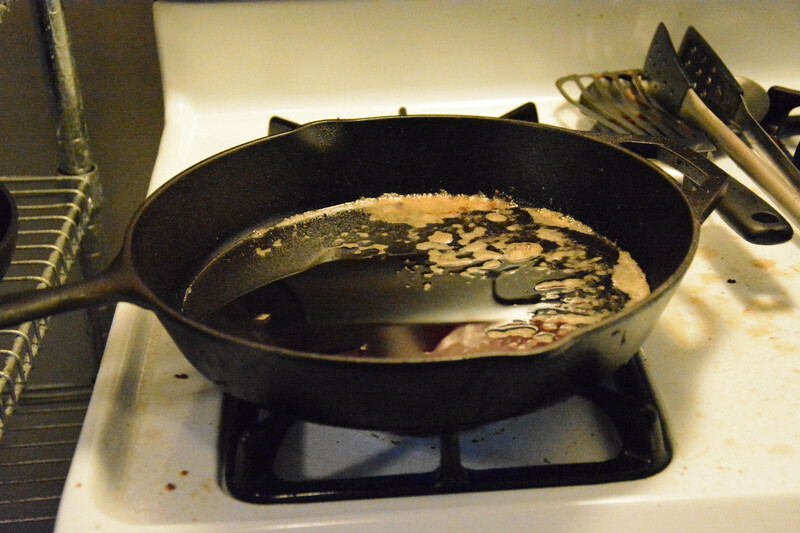 Second, we need the bacon grease and hot skillet for the cooking of the pork chops! 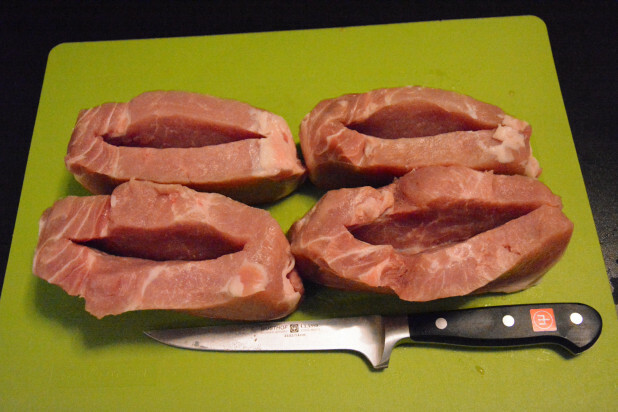 Like I said, I had these pork chops custom cut to 2″ thick. They are massive! Look at that fat line!! Turn them sideways, fat side down. 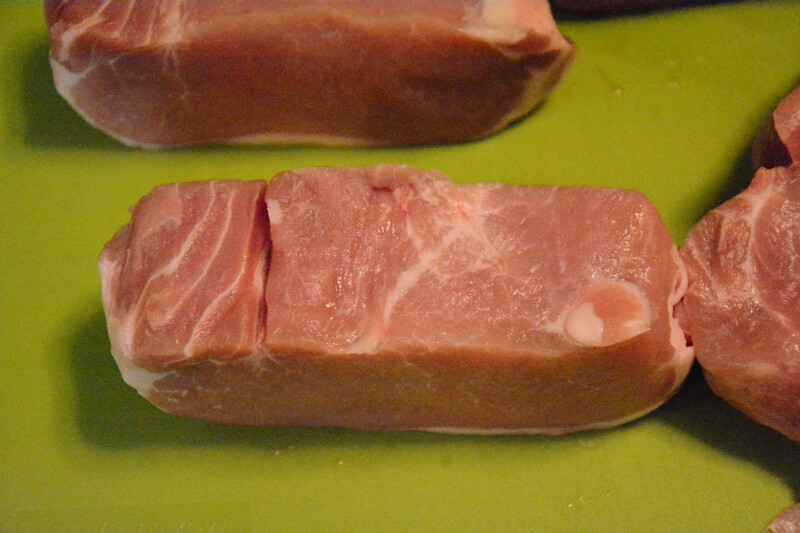 Then with a really sharp knife , carefully make a large slit in the side of the meat. Make sure not to go all the way through! 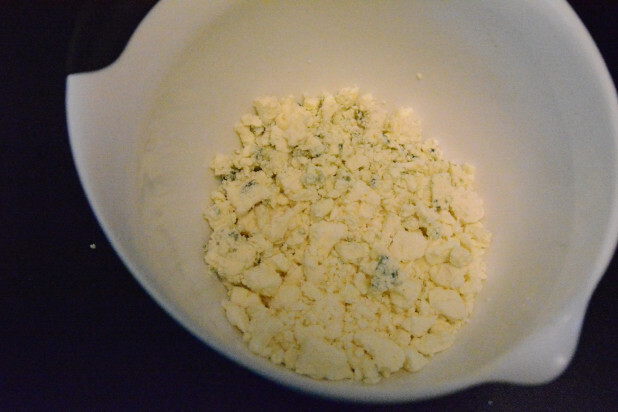 Next, start assembling the stuffing by mixing the two cheeses together in a bowl. Chop some green onions up. 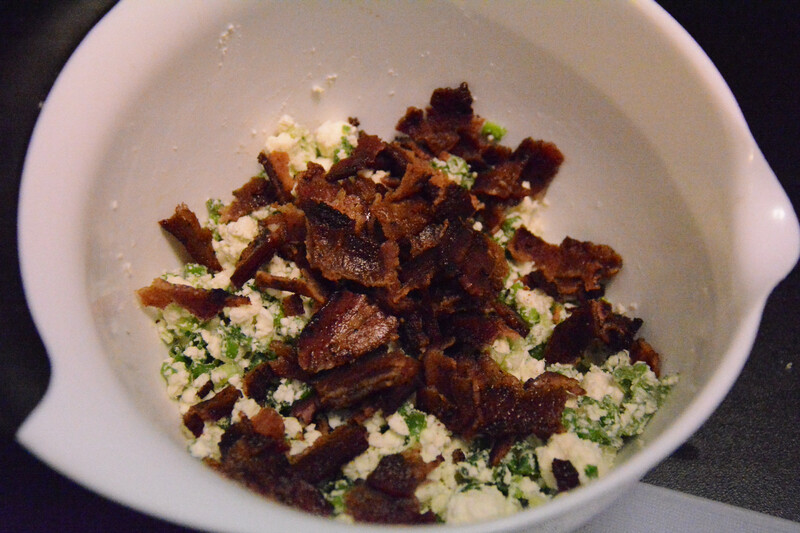 Throw the green onions and crumbled bacon into the mixture. It should combine and make a stuffable paste. 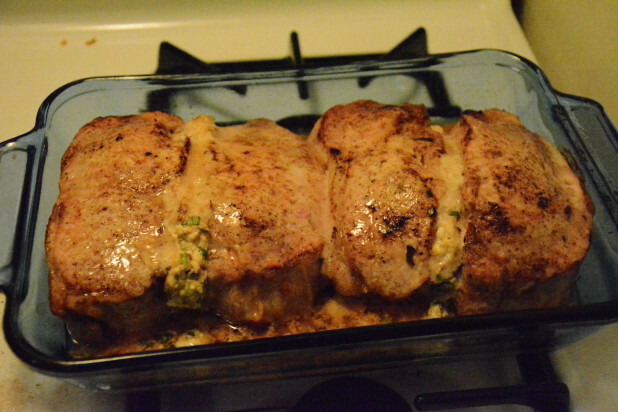 Here’s the stuffed pork chops. 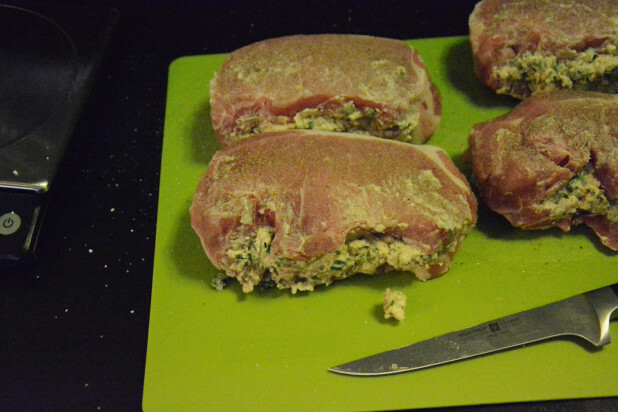 Really use your fingers to get the stuffing into the pork chops and spread in there. 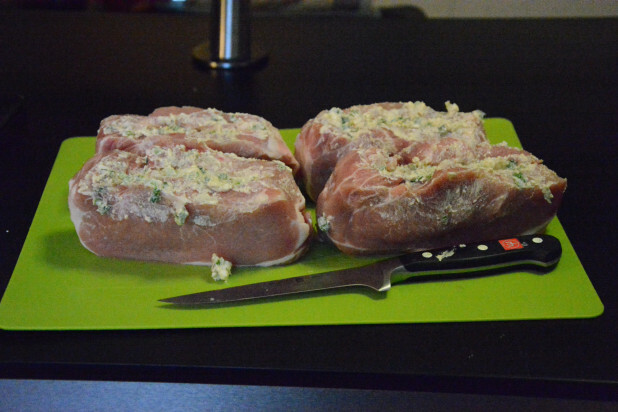 Coat both sides with garlic powder, salt and pepper, then secure with a toothpick. 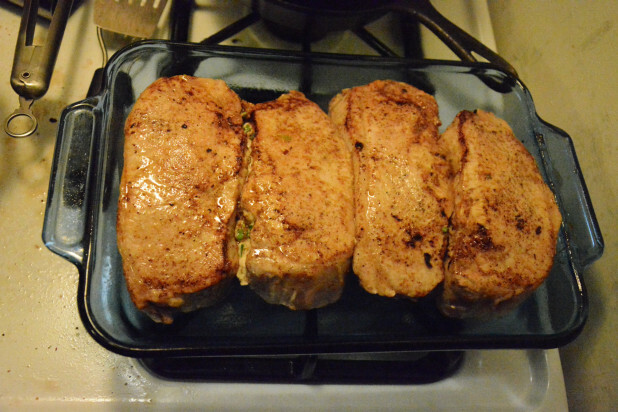 Now we’re going to sear the meat. 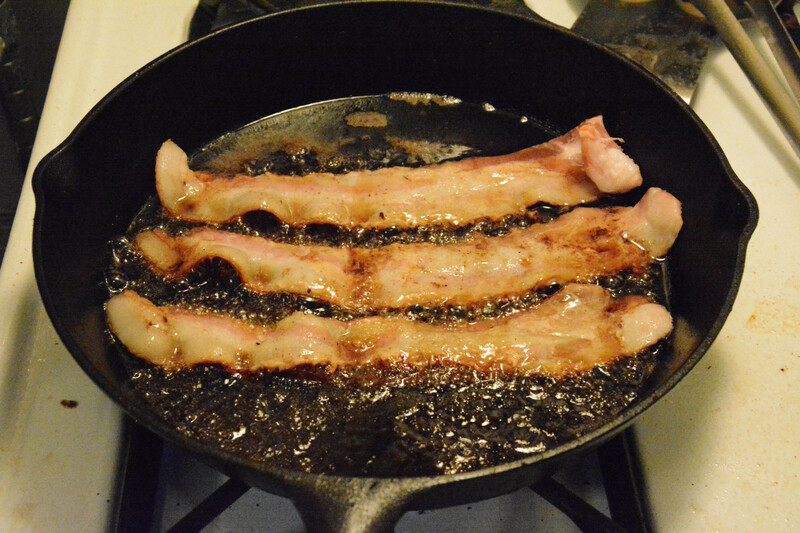 Get the bacon grease really hot and lay them in there. 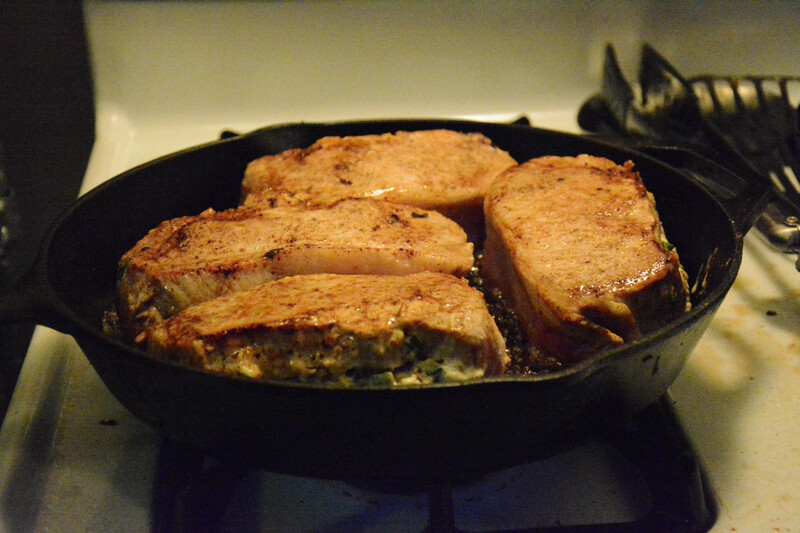 Ahh, searing meat in a cast iron! Prepare a greased pan for cooking the meat the rest of the way in the oven. 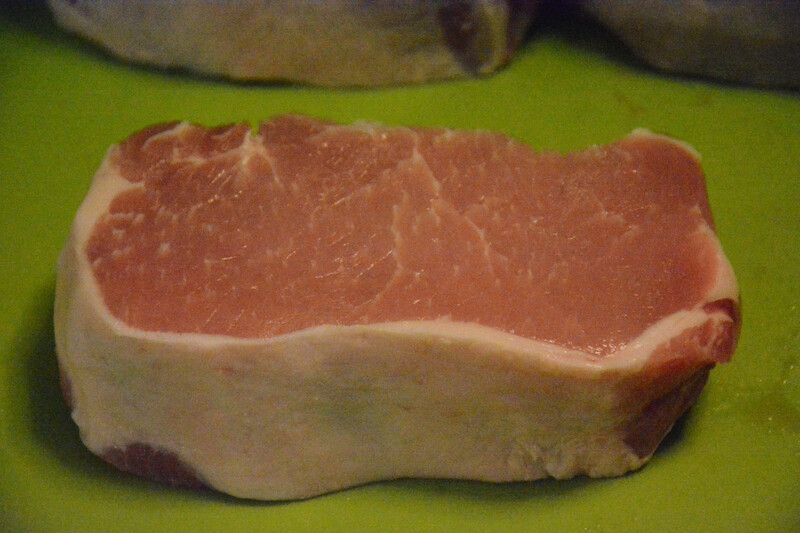 Transfer the meat to the dish. One advantage of cooking them this way, is I faced the stuffing parts together so the stuffing didn’t fall out of the pork during the oven cooking process. 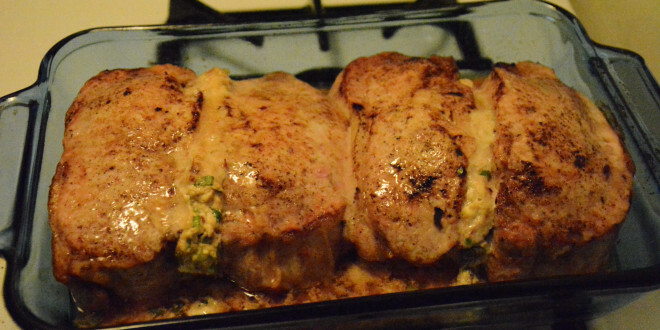 And here are the finished, cooked chops! Plate them with your favorite side dish and you’re good to go! I used really thick, 2" pork chops. 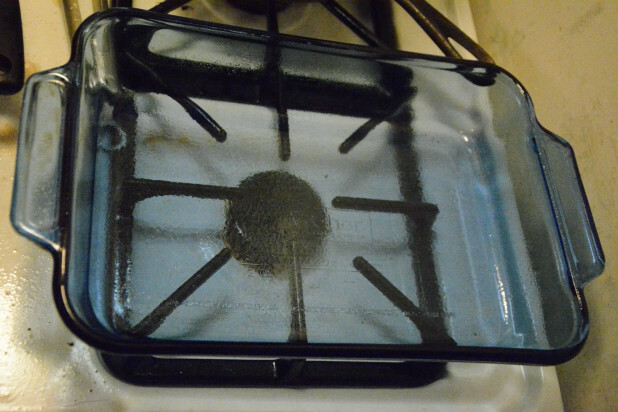 If yours are thinner, cook for less time. Like Caveman Keto on Facebook for more updates and recipes! These look great, and as I have said before I love your site! You could also just slam the cast iron right in the oven after browning. I was going to say the same thing. 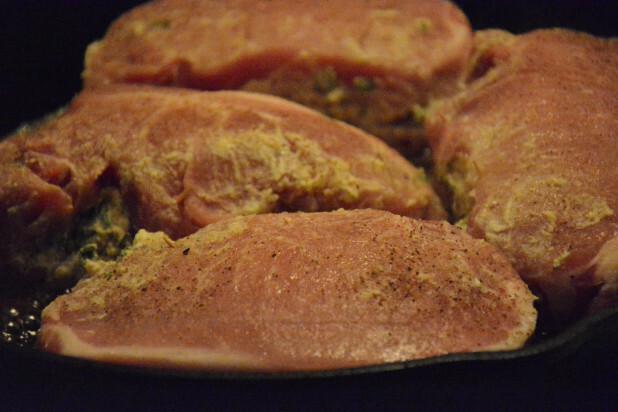 Using the cast iron in the oven allows the meat to cook in it’s own juices. Also just about 2/3 of the way through turn the meat to allow yet a little more cooking in it’s own juices. 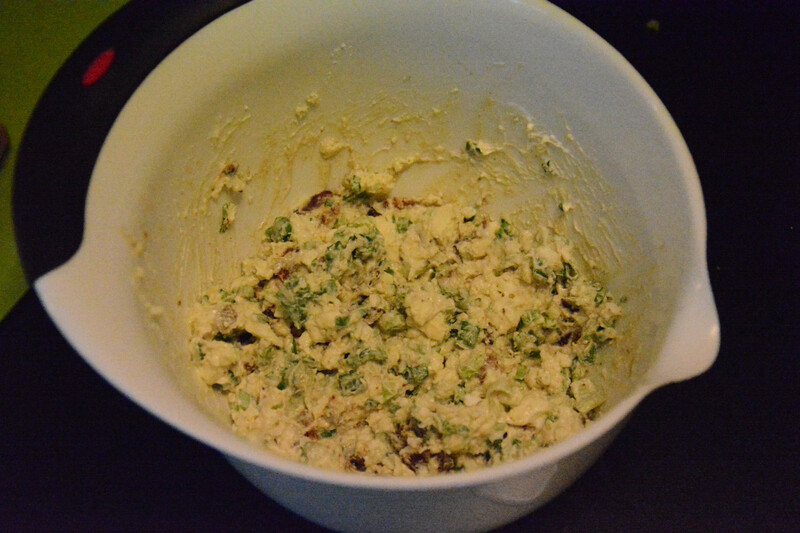 It will make a huge difference in the final dish. Awesome chop….will try very soon!!! This looks so delicious I had to fight the urge to lick my screen. I made these last night for dinner. 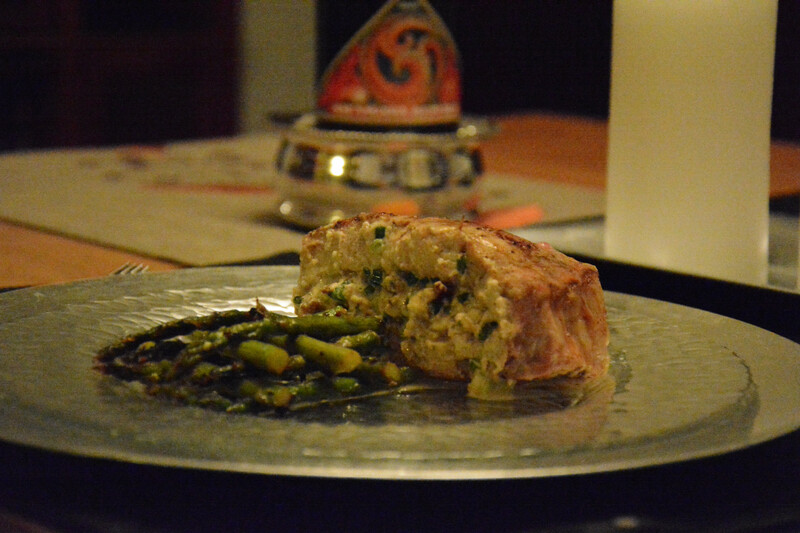 The stuffing is great and very rich. I don’t think I put in enough onion because I was varying it for 3 chops. With the leftover grease, after searing, I made a white wine and cream reduction and my wife loved that. Good recipe and please continue your work here! 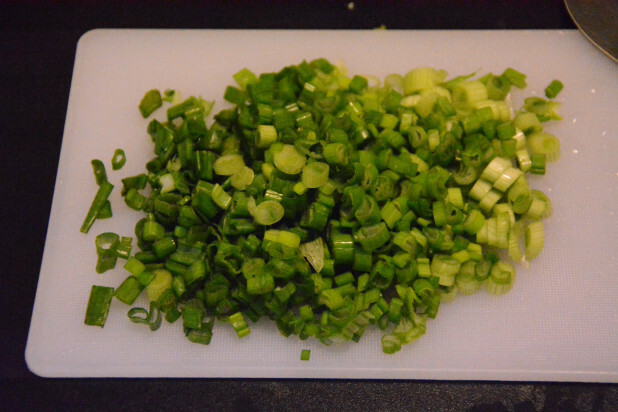 Any reference as to how many green onions 60 grams is? Is the nutrition information for the entire recipe or just one portion?